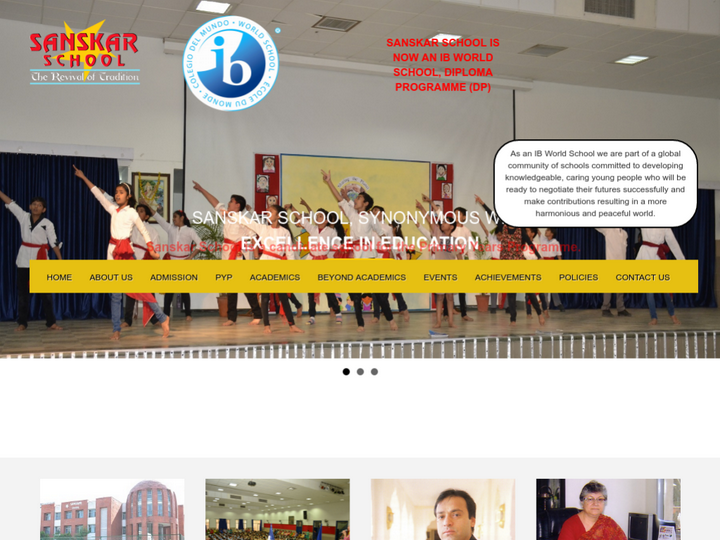 Sanskar is a co-educational, English Medium, Senior Secondary School set up in April 2002 and affiliated to the Central Board of Secondary Education, New Delhi. The parent body, Sri Sai Shiksha Sansthan has a deep commitment to the cause of education. The Trust has provided gorgeous infrastructure with large green playfields. The finest possible team has been put together in the school. Each member shares this commitment and lives by it.